I don\'t think a scene could have been better put together by a toruism board than this. Great shot. Beautiful shot; it takes the viewer right into the scene. What a stunning place. I think the mountains of So. America have to be some of the most beautiful in the world. And I\'ve only seen pictures! You have gorgeous photos on your site! It’s hard to say which I like the most. what a beautifull natural scene. 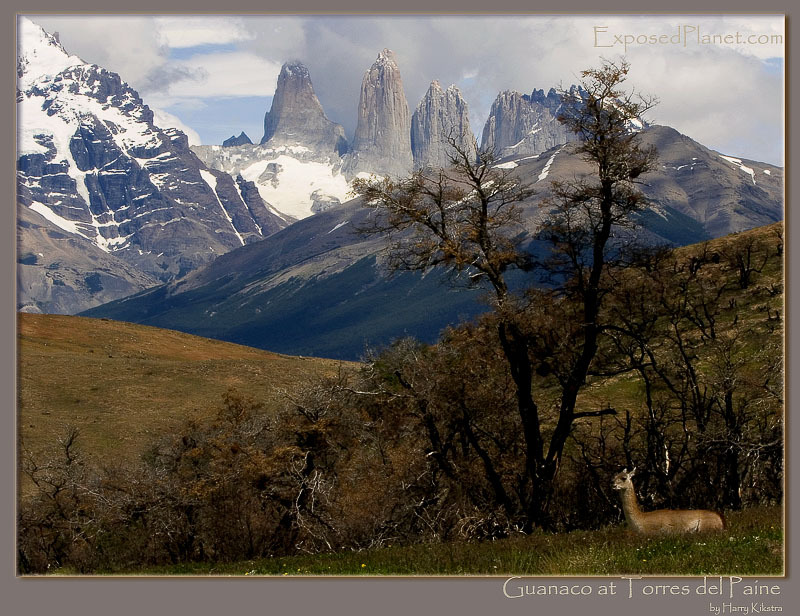 The story behind "Guanaco and Torres del Paine"